For over two decades we’ve been preparing authentic Mexican dishes that speak of the great heritage of flavors we bring from Jalisco, Mexico. Now in Sacramento, CA, we provide complete mobile catering services for parties, corporate affairs, weddings, and more! 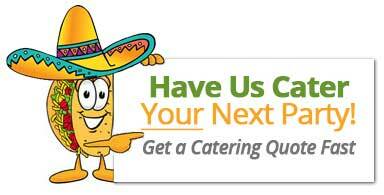 Ask us to customize a complete catering package for your next get-together.